As a member of the Door County Home Builders Association (DCHBA), you are also a member of the National Association of Home Builders (NAHB)! One of the member perks is a discount on industry books via the NAHB BuilderBooks website. 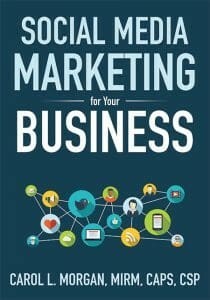 DCHBA would like to feature books that may be beneficial in helping you run and promote your business. Profits are increasing. This invaluable resource gives you a glimpse of financial statements from hundreds of builders nationwide and provides statistics and analysis so you can see how you compare to other builders. 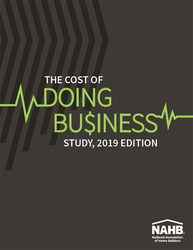 The study discusses financial performance according to builder type and size, as well as industry-wide averages using these key indicators such as gross margins, net profits, cost of sales, operating expenses and financial ratios. So you have a website, Facebook page, and a Twitter account. Do you know how to make them work together—and work for you? Social Media Marketing for Your Business shows you how to create a winning marketing plan by carefully setting goals, creating strategy, and targeting audiences. You will learn how to: • Create a cohesive content plan with strategy and goals • Set goals and measure their success • Increase website traffic • Manage your online reputation • Maximize your engagement and interaction on Facebook, Twitter, YouTube, and more.